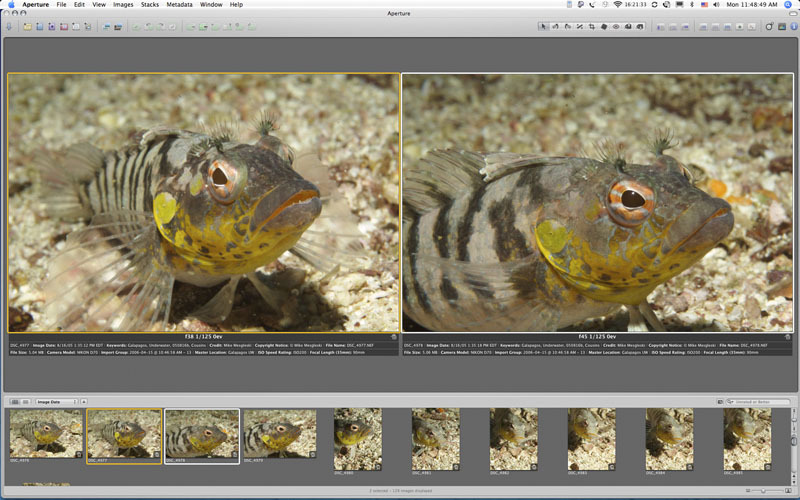 "Apple's Aperture with Randy Ubillos"
Aperture lets you choose a compare image. You can then compare other images to it images side by side until you specify another image as the compare image. 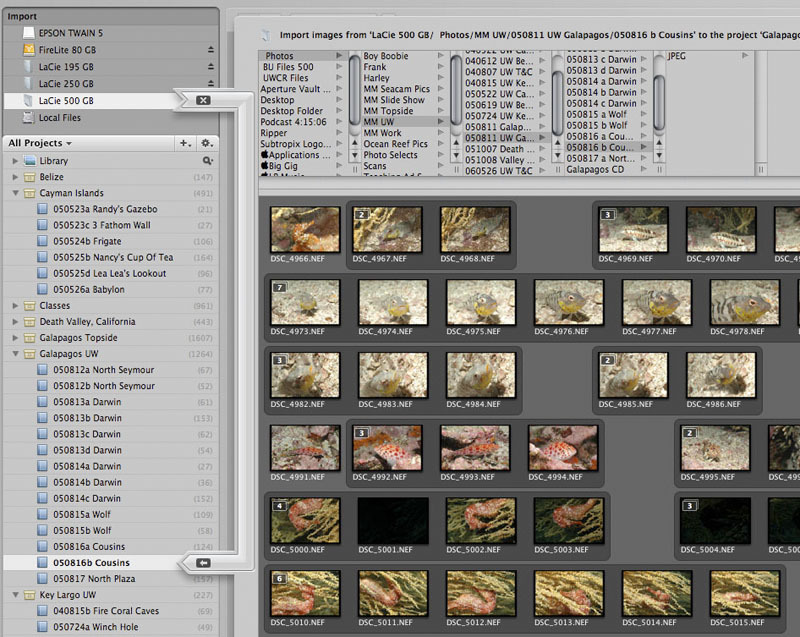 Aperture’s import window, clearly showing what is being imported and to where. 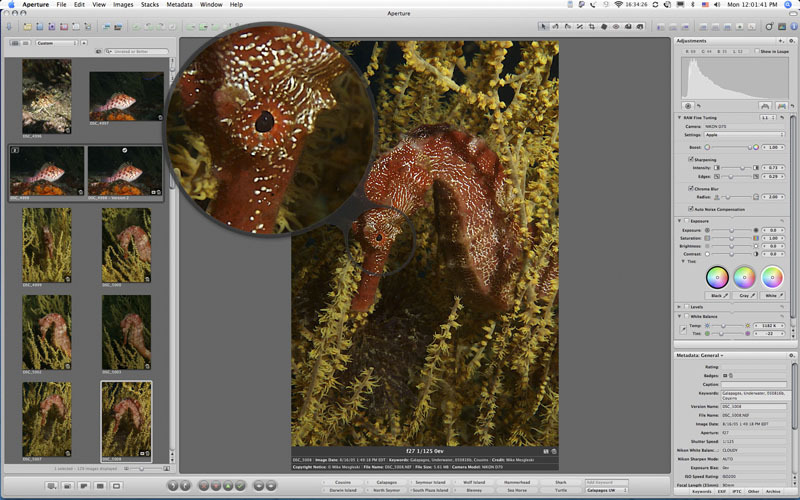 Aperture’s Loupe Tool lets you zoom in on portions of an image similar to an optical loupe. It doesn’t matter what the image size is that you are zooming in on, it could be a full screen display or a tiny thumbnail, the Loupe Tool will show you the portion it is zeroed in on at 100%. 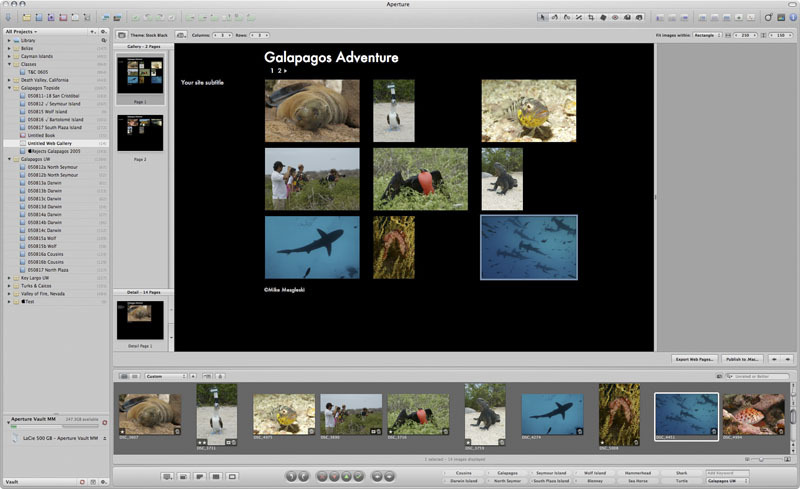 Create your own web gallery using Aperture. Select your images, position them as you want them, add your copy and post them to the web. It’s that simple.